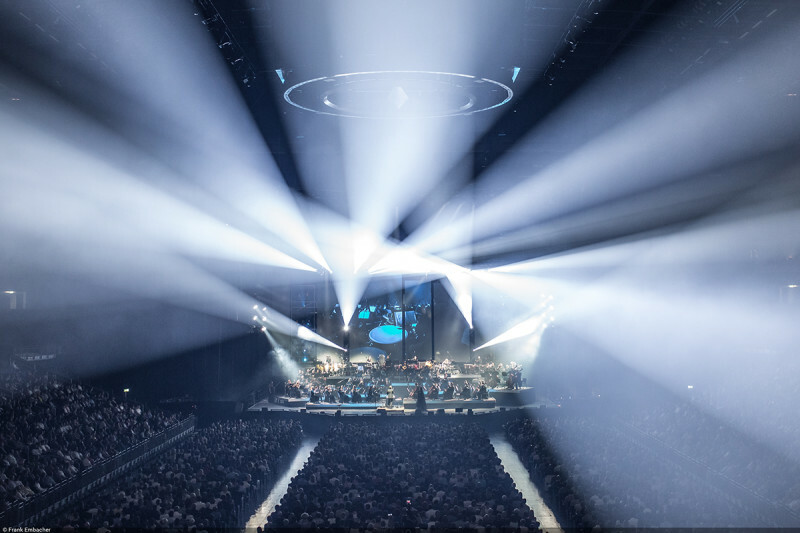 ‘The World Of Hans Zimmer – A Symphonic Celebration’ the highly-anticipated run of spectacular shows kicks off this week in Manchester. Taking in their biggest UK headline show to date, the performance will take over London’s O2 Arena on November 26th, bringing the world of the legendary composer to life under the direction of Hans’ soundtrack conductor Gavin Greenaway. Delivering an intense and unforgettable concert experience, it delves into the phenomenal career of a true icon in modern music like never been seen before. The huge new date joins a string of shows kicking off in March, running through arenas in Manchester, Glasgow, Birmingham and Dublin – with their night at London’s legendary Wembley Arena on March 23rd now Sold Out. In contrast to the renowned ‘Hans Zimmer Live’ tour, where the sound focuses on Zimmer’s band and the electronic sounds of the music, ‘The World of Hans Zimmer – A Symphonic Celebration’ will present the composer’s works arranged for a live symphony orchestra for the very first time. Zimmer spent months working on transforming his soundtracks into opulent concert suites, curating a stunning, genre-defying stage show but leaving the actual live performance to Greenaway. Hans himself is not performing at the concerts. The Oscar, Grammy and Golden Globe Award winner is undoubtedly one of the best-known and influential film score composers of our time. His powerful soundscapes have shaped contemporary cinema like those of no other composer. His soundtracks have endowed a nearly endless list of blockbuster productions with drama and emotional depth: The Lion King, Gladiator, Pirates of the Caribbean, The Da Vinci Code, The Dark Knight, Inception and Interstellar are just a few of the most famous films he has scored. In January 2018, Hans Zimmer received his 11th Oscar nomination for the breathtaking film score of Christopher Nolan’s box-office hit Dunkirk. Tickets for ‘The World Of Hans Zimmer – A Symphonic Celebration’ are on-sale via MyTicket.